SPFL Premiership. Kick-off: 3pm, Saturday 8th December. ABERDEEN could have been heading back to Pittodrie after a double dose of Glasgow pain but instead went back up the road on a huge high. Having put so much into the League Cup Final, only to lose once more to Celtic, I suspected the Dons would suffer a Hampden hangover when they pitched up at Ibrox just a few days later to face Rangers. But Aberdeen showed huge character to grind out a massive 1-0 win that could prove to be a turning point in their season. That triumph, Rangers' first home defeat of the season, saw the Dons avoid suffering three losses on the spin after a dismal 3-0 thrashing at Motherwell in their final game before the showpiece clash with Celtic. 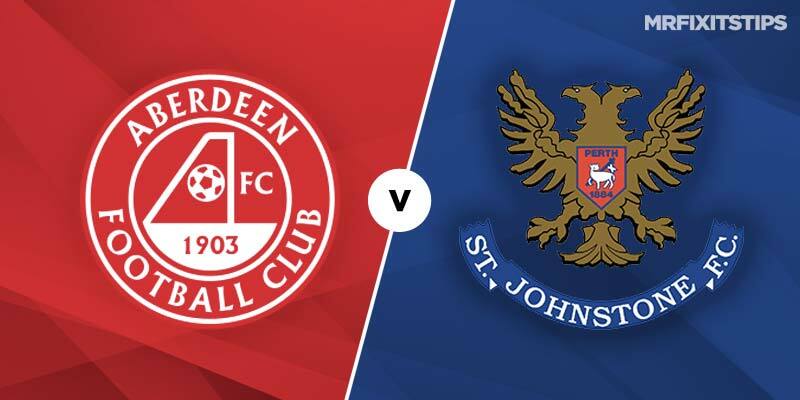 Now Derek McInnes' side will be desperate to build some momentum with another win against St Johnstone. They are 13/20 with 888 Sport to make it two in a row although it's probably one of the trickiest games they could have faced after an Old Firm double header. Saints are in fine form, with their midweek 2-2 draw against Hearts making it seven games unbeaten. Tommy Wright's side, who are 19/5 with 888 Sport for a Pittodrie win, have rediscovered their mojo after a poor campaign by their standards last season. That was reflected in their results against the Dons with Aberdeen claiming a couple of 3-0 wins and dishing out a 4-1 drubbing in the other meeting. But their first encounter this season ended in a 1-1 draw in Perth and that's a more accurate gauge for the Pittodrie return. The draw is 11/4 with 888 Sport and if you fancy a repeat of that 1-1 score then the odds increase to 6/1 which may be worth a tentative bet. Aberdeen's biggest problem this season has been a lack of firepower and with both teams boasting decent defensive records I can't see too many goals in this one. Try backing under 2.5 goals which is 4/5 with 888 Sport. St Johnstone have been spreading the goals around but winger Matt Kennedy has been in decent scoring form and could be worth backing for anytime scorer. He's available at 10/3 with some firms in that market and 9/1 for first scorer. Aberdeen boss McInnes has been chopping and changes his strikers but I fancy James Wilson to start here, especially with Sam Cosgrove banned after his red card at Ibrox. The on-loan Manchester United striker could be the man to deliver for the Dons and is 5/1 to net first and 17/10 for anytime scorer with some firms.